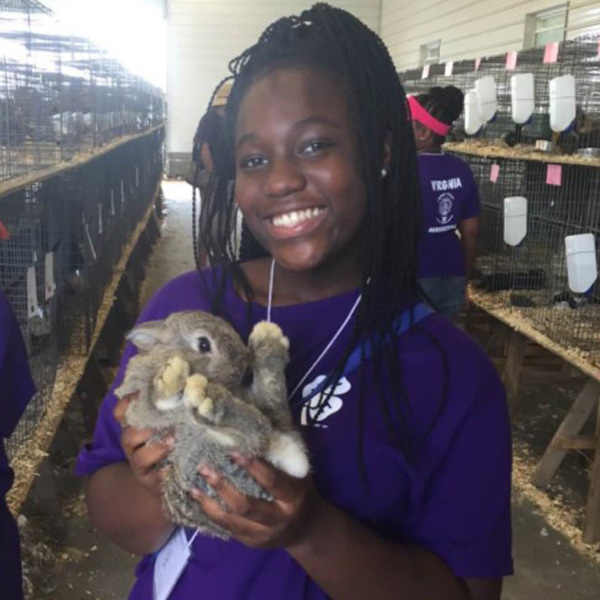 During the week of August 15th, four All Saints students, James Seldon, Taiheem Churchwell, Jocelyn Matthews, and Nasja Powers attended the 2016 Agricultural Commodities Tour sponsored by the Richmond Growing 4-H Science Team. The students explored a llama farm, Rte 11 chips, a produce auction, a creamery and farmers’ market. They also learned about agricultural research and women owned and operated agri-business. Their group photo is shared on page 3 of the September issue of the Growing 4-H Science News. Check it out HERE.